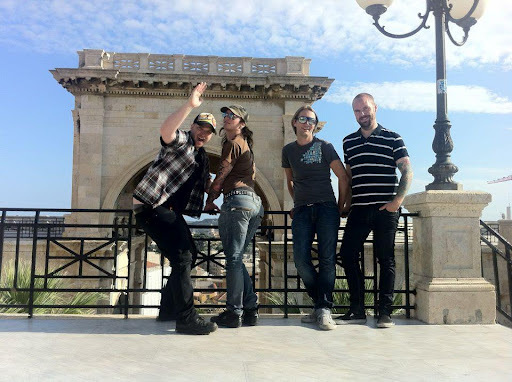 Song of the day: Caddy – "Beautiful Strange"
When Tomas sent me an email with the link to the song, I played it. Then I played it again. I played it four times in a row. Note to Tomas: An album please. 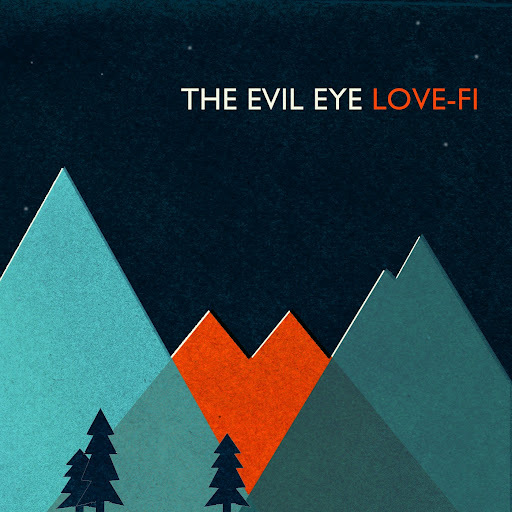 Song of the day: The Evil Eye – "Love-Fi"
or is in the process of slapping the second person on the rear end. And I’m also not entirely sure if that second person is male or female. The Evil Eye are apparently polishing up their debut* album, Relapser, at the moment, so it’s not ready for public consumption just yet. In the meantime, however, Tomas sent me a track from it to let me (and you) know what The Evil Eye sound like. 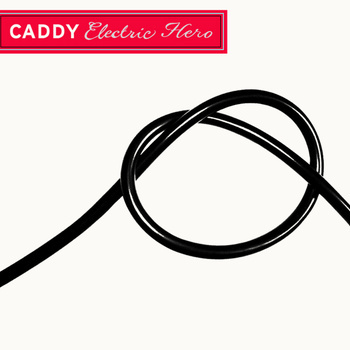 Song of the day: Caddy – "Electric Hero"
Caddy is a band I had absolutely no idea existed until I received an email by an eager person saying “Have a listen to this album!” (which I did). I had a quick look at the contents of the email and saw a fair bit of text. Instead of reading all that text I just looked for a link to the album (which is called Electric Hero), zoomed on over to it, pressed “play” and hoped for the best. I must admit that I was thoroughly amazed when I found out that Caddy is actually just one person: a chap from Norway by the name of Tomas Dahl. I found this out by actually reading the rest of the email. Caddy is the one-man powerpoptacular music sensation, Tomas Dahl. best known for his work in such bands as The Yum Yums, Wonderfools and Turbonegro, Tomas bombarded Toproom Studio like a Norwegian Dave Grohl affinite to lay down his “angular, gutsy, guitar-fueled melodies and full-bodied harmonies”, playing every instrument, singing every single note and even producing the album himself. Born from such endurance and master craftsmanship comes the fourteen song “catchy as chlamydia” son-of-Brian-Wilson baby, “Electric Hero”. The sounds of summer have never felt so soothing nor have they entangled themselves within your amygdala to keep you feeling warm all winter long. Turn off your television set. Put on your headphones. This is music for everyone! Unfortunately, I wasn’t especially keen on the phrase “catchy as chlamydia” in that blurb. I thought that if you were describing yourself as ‘catchy’ then you’d probably want to compare yourself to something that somebody would want to catch. But enough of my (mild) concerns. Back to the song. “Electric Hero” gives you a general vibe about the rest of the album. (I guess it would, considering it’s the title track.) Electric Hero is full of chugging eighth-notes and ultra-distorted guitars. Well, not the entire album, but a lot of it. So, if you’re a fan of chugging eighth-notes and ultra-distorted guitars then there’s a rather large possibility that you’ll like Electric Hero. You can hear the whole thing over at Bandcamp – or, believe it or not, here. I’ve just discovered that I can put some code in this post so you can hear the album without leaving this blog at all. Right. There we go. Hey, that was easy. You are currently browsing the archives for the Caddy category.